I guess Taylor has to give me a few funny photos to go with all the sweet ones. I think we would go crazy around here if it was serious all the time. I've found a few things lately that make my life easier, were great finds, or things that I almost couldn't live without right now and thought I would share them. I have found some of my greats from others and hopefully you will find my list helpful too. 1. 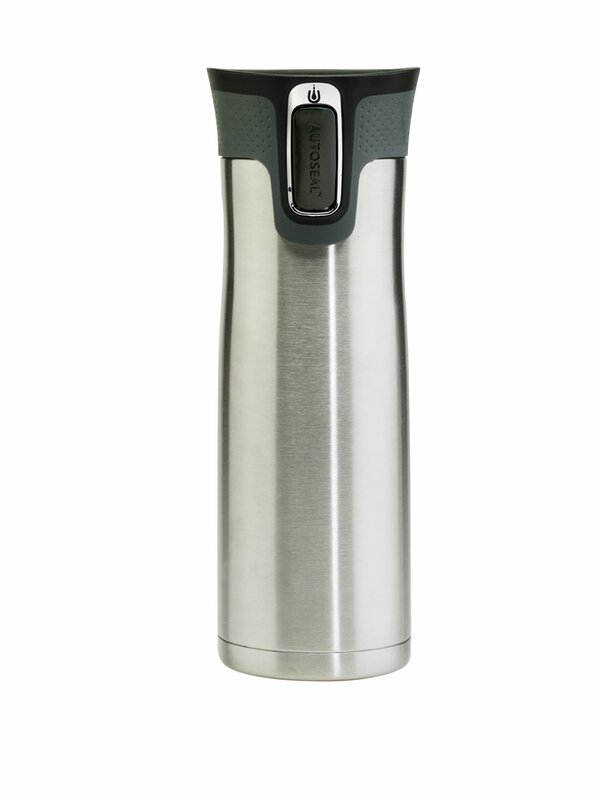 Chris introduced me to the Contigo stainless steel mugs about 9 months ago and they are great for my coffee. Does anyone else have a problem with brewing a cup of coffee but then it is luke warm or even cold by the time you get a sip? If you do, then you are problem the mom of little ones too. I love them because they do the best job at keeping your drinks hot or cold and don't sweat or leak. Believe me when I say they don't leak, because time and again I throw it in my purse as I'm running out the door. No free hands when you are trying to chase down a very busy toddler from running in the street. I'm a bit OCD, so Chris and I each have our own for coffee and then I have two for water. You can find then at Target for around $20, but even better is that Costco has a two pack for $15.99 right now. Trust me when I say you won't regret this purchase. Being able to enjoy hot coffee 2 hours after you brew it will be worth every penny. 2. I am a great lover of Amazon and being able to have everything from diapers to books to laundry detergent arriving on my doorstep in two days and not dragging two kids out to the store. So when they send me various emails about new books I usually glance over them, delete, and then move on with the craziness of our house. A few weeks ago, a list of great Halloween books caught my eye and I started shopping. 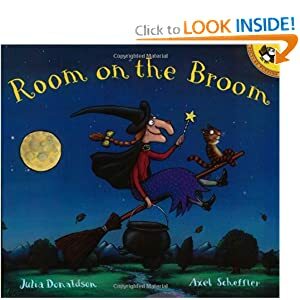 Room on the Broom is the cutest book for kids and does a great job about reinforcing manners(aka please and thank you) without being obnoxious. Yes we have that Polite Princess book that wholly consists of reminding kids of polite manners and it is not this at all. Room on the Broom is a cute story and both my girls ask for it all the time now. I was in Target yesterday and they also carry this book. 3. With two kids, going out to eat is not an great experience so I try to cook more. I've even started planning out dinners a month at a time and find it saves lots of stress and helps plan grocery shopping. I wish I was better at taking cute pictures and showing you great recipes from my kitchen, but most of the time I have Lizzie screaming at my feet while I'm trying to keep her from reaching in the oven and no one wants to see those pictures. Instead, I'm going to direct you to the best soup recipe that Annalee did a great job of taking pictures of. Chris has become a bit skeptical of my pinterest recipes since we've had a few flops but he is open to anything I say is from Annalee. He is constantly tells all his friends about meat cupcakes and how they are one of his favorite dinners. I get some weird questions from other wives wanting to know what "meat cupcakes" are and why their husbands are bugging them to get the recipe. If you haven't made them, do it. And then plan to make her potato soup too. Both easy dinners that now have a place in our dinner rotation. And no, our kids don't eat the dinners either, but that just means there is plenty of leftovers for us. 4. Scarves are one of my new favorite accessories. They are so great for Texas weather that can be cold in the morning and scorching hot in the afternoon. An easy way to pull together jeans and a simple t-shirt to make everyone think you put lots of thought into your outfit. Plus when was the last time you had to worry about a scarf not fitting(like your jeans from last fall that you swore fit when you put them away in the spring)??? My personal favorite style right now is the infinity scarf. It's the loop one that looks like a giant circle. Just loop it around your neck twice and pull the layers a bit to adjust to your liking, fluff and your done. It really is that simple. I have a turquoise one that I got at Sam Moon for less than $10. I am tempted to go back and get a few more colors. I am really into the look of navy and lime green right now, so I think I need a lime green one to go with some of my navy cardigans. 5. I had to bring snack for Taylor’s soccer game this week. It is still weird to me that I truly am a soccer Mom(minus the minivan). It was an evening game so I was trying to think of something that wouldn’t be too sugary since most kids wouldn’t eat dinner until after the game. I ended up making Applesauce Raisin cookies(stay tuned for the recipe bc I actually took a few photos for you). The problem was that the dough is crazy sticky and the idea of scooping the dough seemed like a big mess until I remembered my Mom giving me this great scoop for Christmas. It was awesome and made for the perfect cookie size without ending up with dough all over my hands. Lots of stores sell similar items, so you don’t necessarily need to buy Pampered Chef, but I promise this will be my new favorite kitchen tool with all the cookie baking coming up with the holidays. What are your favorite items or things that have made your life easier right now? This picture just makes me laugh because it is very Lizzie. She is often a mess, but adorable at the same time. She and Taylor managed to put Taylor’s soccer cleats and shin guards on her one day and she thought it was just the best thing to be dressed up like big sister. She clomped back and forth like this for almost 30 minutes and giggled the entire time. Our world just wouldn’t be the same without this little girl! Yea I know. 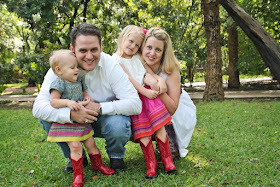 I have been horrible about getting these emails out on time, but it seems like the little people in my life tend to want to play and eat rather than watch Mommy upload/edit photos. Imagine that?? But I love having these photos to look back at and the girls love the books I make of them each year. So here is your Taylor Tuesday a few hours into Wednesday, but still in the right week. I have gotten a bit spoiled by how great Taylor will pose and smile for the camera as compared to the fits of sweat and promises of candy that have to occur to get Lizzie to pose. It has made me appreciate photos like this even more. Remember how I mentioned last week that orange is not one of my favorite colors? Well I am starting to like it more and more, especially when on this little girl. I’m not a big fan of orange, but can’t seem to get enough of this little pumpkin! Lizzie loves to dress up lately and luckily on this day it was cute stuff from our dress up trunk and not into her swimsuit. I have yet to convince her that it’s not swimsuit season anymore. As Taylor gets older, I see fewer funny moments to capture with the camera and more sweet moments. Thank goodness she quit making odd faces for the camera and now will smile sweetly when the camera is aimed at her. “WAIT TAYLOR WAIT!” is a phrase often heard coming from Lizzie right now. She tries so hard to keep up with big sister(while not putting her precious Sonic slushie down) and it’s so sweet to see them play together. We also hear ‘Taylor, sit down’, ‘Taylor play this?’, or ‘Taylor build?’. When did she start to look so much older? Good thing she still loves to be a little kid who hunts around the yard for leaves. I keep willing the clock to slow time down and let me enjoy each moment with her, even those that make me want to pull my hair out. But I am also thankful for the opportunity to watch her grow, learn, and live life to the fullest. I can’t believe I can say this but… my sweater is done! I have been busy using all my free time(is there much of that with two kids?) to knit and try to get it done. Here is a sneak peek picture of me wearing it. I will take better pictures once I’ve blocked it. For those of you non-knitters, this means I soak it and stretch it to the way it should really fit to kinda have the yarn ‘memory’ set. It helps give the sweater some shape in areas that I might have knit tighter than others. The sweater looks pretty good right now, but I have a few areas that I want to make look better. Overall I am super thrilled to have completed something at this level and proud of myself. Now I think it will go back to smaller projects because part of me got tired of such a heavy piece and I like working with pieces that I can finish in less than a week. Plus I do not like taking pictures of myself and would prefer my knitted pieces be on cute babies or kids. Even after taking on such a large project for myself, I already have something new on my needles and I am working on tweeking a project that will be Christmas gifts for the girls. I hope to also add some new items to my Etsy shop in October, so stay tuned for those soon.